COLUMBUS, Ohio — Some farm fields in northwest Ohio’s Maumee River watershed have more phosphorus than their crops can use. Called “elevated phosphorus fields,” such fields may be at higher risk of contributing to Lake Erie’s harmful algal blooms. That’s the premise of a new five-year, $5 million study that hopes to learn about those fields and lower that risk by creating new public-private partnerships. Led by Jay Martin, an ecological engineering professor with The Ohio State University’s College of Food, Agricultural, and Environmental Sciences (CFAES), the study plans to monitor and manage more than a dozen elevated phosphorus fields, all in the Maumee River watershed. To do the work, the study is partnering with nutrient service providers — consultants who advise farmers on crop and soil matters, such as the types and rates of fertilizer to apply — and some of the farmers they work with. The nutrient service providers are helping find farmers to help with the study; the farmers in turn are allowing their fields to be used as sites for the study. Phosphorus runoff from farm fields is a significant driver of the harmful algal blooms plaguing Lake Erie. The blooms are sometimes toxic, are often many miles wide, and threaten recreation, tourism, drinking water safety and people’s health. The Maumee watershed, which empties into the lake at Toledo, is the lake’s largest source of phosphorus loading. Martin said the study has four main parts: recruit the partner farmers; measure phosphorus runoff on the farmers’ fields; use and evaluate best management practices on the fields — practices aimed at reducing the fields’ phosphorus runoff while also maintaining their yields; and then, by helping form further public-private partnerships, expand the adoption of the practices throughout the watershed. The study includes partners and supporters from CFAES, the Nature Conservancy, the U.S. Department of Agriculture’s Agricultural Research Service (USDA-ARS), Ohio State’s Center on Education and Training for Employment, and 12 Ohio agricultural businesses and organizations. USDA’s National Institute of Food and Agriculture is funding the study, which started in September and will run through summer 2023. Phosphorus, a nutrient, is needed for crops to grow. It’s an important part of the fertilizers and manures that farmers apply to their fields. But rain can wash phosphorus out of the soil and then into drainage ditches, rivers and eventually Lake Erie. In 2016, Ohio, Michigan and the Canadian province of Ontario agreed to reduce the phosphorus entering Lake Erie by 40 percent, with a goal of doing it by the year 2025. Experts think that such a reduction will keep the lake’s blooms at safe levels. Ongoing efforts to meet that goal involve farmers, scientists and agencies, among others. 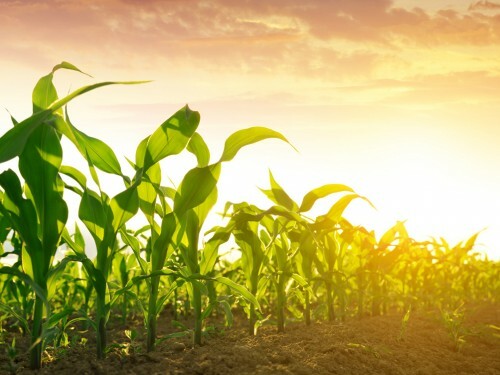 The new study, for its part, is specifically targeting elevated phosphorus fields, which bear that name because, after years of fertilizer or manure applications, they’ve accumulated more phosphorus in their soil than their crops need. The excess doesn’t hurt the crops; the crops just don’t take it up. But sometimes the phosphorus is released from the soil and ends up in Lake Erie, where it contributes to harmful algal blooms. “The hypothesis is that these elevated phosphorus fields contribute disproportionately to nutrient runoff,” Martin said. Until now, however, testing that hypothesis has been difficult. Locating an elevated phosphorus field requires soil test results, and those aren’t public information; they’re often kept only between a farmer and his or her nutrient service provider. The new study is solving that limitation by enlisting those individuals as partners. Martin said that as a first step, a partnering nutrient service provider will invite a farmer to participate in the study. If the farmer is interested, Martin and his colleagues will work with them to determine if the field has the needed characteristics and to make sure the farmer is comfortable with the arrangements. The team will compensate the farmer and nutrient service provider for their time, will pay for implementing and maintaining the management practices, and will keep the farmer’s name and location confidential. If, on the other hand, the farmer isn’t interested, “things end there, and no one finds out anything about their field that they didn’t know before we started,” Martin said. The team is now working to identify the study sites, with a goal of having 14 fields. In the Maumee watershed and in other places, some farmers are reducing their phosphorus runoff by using the “4R” practices. The 4Rs stand for the right source, right rate, right time and right place when it comes to applying fertilizer and manure. But the 4Rs don’t help on an elevated phosphorus field because the farmer has probably already stopped applying additional phosphorus fertilizer. Instead, other best management practices are needed — ones that keep nutrients in the field or that trap them at the edge of the field before they get into waterways. Martin said the study will implement a variety of best management practices at the study sites and then will evaluate the practices using edge-of-field water sampling. The practices may include building wetlands, growing cover crops and installing phosphorus filters, among others. Based on the findings, the study will offer recommendations for farmers and nutrient service providers. The Maumee River watershed covers an area greater than Connecticut: more than 4 million acres in parts of three states — Ohio, Michigan and Indiana. The majority of the watershed’s land use is agriculture. About 12,000 farmers live in the watershed. Other CFAES researchers involved in the study are Margaret Kalcic, Ryan Winston, Mike Brooker and Nathan Stoltzfus of the Department of Food, Agricultural and Biological Engineering; Robyn Wilson of the School of Environment and Natural Resources; Greg LaBarge of Ohio State University Extension; and Brian Roe of the Department of Agricultural, Environmental, and Development Economics. OSU Extension is the college’s outreach arm. Key partners on the study also include Jessica D’Ambrosio of the Nature Conservancy, Kevin King of USDA-ARS’s Soil Drainage Research Unit, the Nutrient Stewardship Council and the Ohio AgriBusiness Association. Collaborating on the study are four northwest Ohio nutrient service providers — Nester Ag, Legacy Farmers Cooperative, Nutrien Ag Solutions, and the Farmers Elevator Grain and Supply Association — and the following organizations: the Ohio Corn & Wheat Growers Association, the Ohio Soybean Council, the Ohio Pork Council, the Ohio Dairy Producers Association, Mercer County Community and Economic Development, and the Ohio Farm Bureau Federation. To learn more about the study, contact Martin at martin.1130@osu.edu.